Follow Jake Cornish as he returns to Switzerland to explore what happened when he was buried in an avalanche which nearly cost him his life. 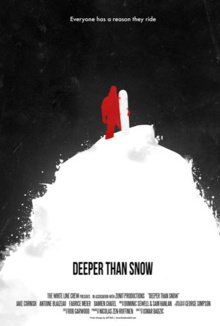 This is not a snowboard film, this is a film about a snowboarder which tells a story that goes Deeper than Snow. We follow Jake Cornish as he returns to Nendaz (Switzerland) for the first time, to explore what happened when he was buried in an avalanche, which nearly cost him his life. This is a delicate look at the life of one man who has shaped his life around snowboarding, despite the risks.